Shaemus has served on the NNCCF Board since June 2015, bringing his passion for our cause and innate ability to encourage people to take positive action. Shaemus’s gift is connecting with people from all backgrounds and walks of life, which he finds in his various endeavors from the many causes he supports. Shaemus attended the University of Nevada, gaining an undergraduate degree in Psychology and a Master’s in Business Administration from the University of Phoenix. 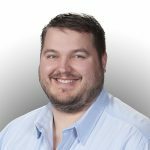 Shaemus works at Microsoft as an Operations Account Manager, where he owns the operations relationship with one of their top OEM partners, helping the two corporations land their joint strategic business initiatives. From a personal perspective, Shaemus spends the majority of the time with his wife Jodi and two boys, Breckenand Asher, and enjoys continually “training” for his next marathon or triathlon. After more than a decade of agency experience, Meagan Noin founded MN|G Partners in 2014. Since then the firm has worked with some of Nevada’s most respected professional service firms, largest events, most notable non-profits, and landmark capital improvement projects in our community. Her experience includes working with local and regional media outlets as well as national outlets including Good Morning America, Today, Associated Press, Reuters and CNN. A Reno native, Noin is a graduate of the University of Nevada, Reno with dual degrees in journalism and political science. After graduation, she was a member of the faculty at the Reynolds School of Journalism where she taught media production. In addition to her role with the firm, she currently serves on the Board of Directors of the Northern Nevada Children’s Cancer Foundation, the Reno Philharmonic and The Great Reno Balloon Race. Tom joined the NNCCF Board in January 2017. Tom grew up in New Jersey but moved to the California Bay Area in 1992. He has a Bachelor’s degree in Economics from Rutgers College and a Master’s in Business Administration from Santa Clara University. 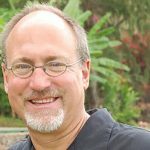 Tom has worked as a finance professional for several technology companies in the Bay Area and Reno for over two decades. He worked for Microsoft Corporation here in Reno since 2005, and is currently part of their Revenue Assurance team. The breadth of his professional experience includes Financial Planning & Analysis, Cost Accounting, Compliance and Revenue Recognition. Tom has been living in Reno with his wife, Rosemarie, and his son, Joseph, since 2005. Tom is very active with the Knights of Columbus and many of their philanthropic and charitable ventures. Tom is also a cancer survivor (Merkel Cell Carcinoma) – in remission since 2008 – which helps motivate his passion for helping the afflicted children of our community. Ryan Gilbrech grew up in Auburn, California and moved to Northern Nevada after graduating from St. Mary’s College in 2004. He spent three years working as an accountant at a local firm in Reno before moving to Morgan Stanley where he has been for more than nine years. During his time in Reno, Ryan has been involved in many charitable efforts most commonly tied to cancer. In his spare time, Ryan enjoys fly fishing, trap shooting, the Reno Aces and being outdoors. Denise arrived in Reno in 1997 from Colorado and is originally a Maine native. Denise, along with her husband Dale, are local business owners and will be starting yet another business in downtown Reno in 2017. 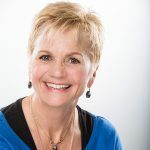 Denise enjoyed a 20-year career in high-tech and possesses diversified experience in business development, marketing, and sales. She currently serves as a Commercial Sales Executive for the Commercial Escrow Team at Ticor Title and through her work was introduced to NNCCF. Denise joined the board in February of 2015 and immediately got involved by becoming a St. Baldrick’s Shavee. She is one of 10 children and an aunt to 58 nieces, nephews, great-nieces, and great-nephews. Her passion for life and a family full of children inspires her to do what she can to help those families facing the challenges of childhood cancer. In her spare time, Denise dedicates additional efforts to Rotary, is active in the community and serves on several professional boards. She also loves the outdoors, enjoying everything from cycling, skiing, and backpacking to fishing, gardening, and golf. Danika is a graduate of the University of Nevada at Reno, with a degree in Health Education & Health Ecology. Her passion to help young cancer patients began with her career at ReproTech more than 10 years ago. She is currently the site director for ReproTech LTD. Nevada, a long term cryo storage facility for reproductive tissues with a focus on helping young cancer patients preserve their fertility prior to treatment. Danika also serves on the Education Committee for the American Association of Tissue Banks. Danika is a mother of three, and enjoys spending time with her family, running, & hiking. Her involvement with NNCCF began more than seven years ago when her daughter decided to begin a fundraising campaign through her softball team. Senior Vice President , CBRE Inc.
Dan Buhrmann grew up in Northern California and moved to Reno in 2002. 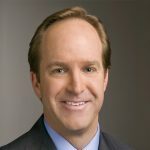 Dan is Senior Vice President with CBRE, Inc., specializing in the leasing, sales, and development of industrial real estate – leveraging experience from sales and management careers with Nextel Communications and Grubb & Ellis. Dan holds undergraduate degrees from the University of California, Davis in both Economics and International Relations. 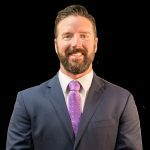 In addition, Dan is a Reno Gazette-Journal/Young Professionals Network 20 Under 40 Award winner, a Certified Commercial Investment Member (CCIM), and a designee of the Society of Industrial and Office Realtors (SIOR). Above all else, Dan is a dedicated family man to his wife and two boys. An avid outdoorsman, Dan enjoys fly-fishing, hunting, backpacking, skiing, and camping. Dan has had the privilege to serve as a director and past President of the Northern Nevada Children’s Cancer Foundation since 2007, being called to action after a close friend’s son lost his battle with pediatric cancer. 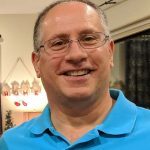 In addition, Dan is active in the community as a board member and past President of Keep Truckee Meadows Beautiful and has served as a volunteer coach of the Special Olympics Alpine Ski Team and coach’s youth soccer and lacrosse for his son’s teams. 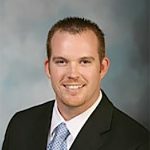 Matt Clafton is the Vice President / General Manager for Alston Construction. He will be the Project Executive on your project having full responsibility for the financial and operational success of the project. His responsibilities include oversight and coordination of all preconstruction and budgeting activities as well as the procurement and construction of your project. He will lead and manage our team and ensure the proper resources are assigned and in place to execute the project in the most efficient manner. Matt will also interface with the owner throughout all phases of the project to assure we not only are delivering on our commitments, but also exceed our client’s expectations. Matt brings over 20 years of design construction expertise to the team. Matt graduated from the University of Nevada, Reno with a degree in Civil Engineering. Steve Erger joined the Board of Northern Nevada Children’s Cancer Foundation in 2013 and served as Treasurer for two years. Steve has been a Commercial Banker for 26 years working for GE Capital and Nevada State Bank prior to joining Umpqua Bank in 2010. Steve specializes in commercial real estate, primarily investor properties, and owner-occupied commercial buildings. Steve grew up in the Midwest, graduating from the University of Iowa (Go Hawkeyes), but has lived in Reno since 1989 and is now a true Wolf Pack fan. Steve is active in the community serving as past President and Board Member of Reno Central Rotary as well as the NNCCF Board. Sophie Grodsinsky recently moved to Reno, NV in early 2016 after growing up outside of Cleveland, OH. 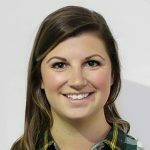 Sophie graduated from Carnegie Mellon University with a dual degree in Civil and Environmental Engineering along with Engineering and Public Policy in May of 2013. 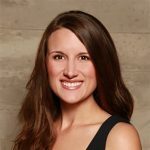 After working as a cement engineer throughout Texas, she was delighted to relocate to Reno and worked as a Construction Manager for Tesla building their Gigafactory 1. She has since changed companies to work as a Project Engineer specializing in data center construction and commissioning for Fortis Construction, Inc. Sophie has spent much of her life volunteering with inner-city communities along with children and adults with special needs. After leaving behind a therapeutic horseback riding center in Texas, she wanted to be involved in her new community and was inspired by all of the work NNCCF was doing for these little fighters and their families. Aside from working and volunteering, Sophie enjoys spending time with her dog, running, hiking, skiing, and seeing live music. Chief Operations Officer at Victory Woodworks. Brandan, his wife, and two children relocated to Reno in early 2016 from Oklahoma. Brandan graduated from Oral Roberts University with a Master of Management and continued his career in the Architectural Millwork Industry. He and his wife have also lived, worked, and volunteered in several other nations including, Cambodia, South Korea, Thailand, and Australia. He is an active member of Architectural Woodwork Institute and Executive Association of Reno. Brandan is passionate about serving others. Knowing the impact of childhood cancer on the whole family, he is committed to supporting and advocating for those families. He also enjoys traveling, finding new experiences and adventures, and spending quality time with his family. 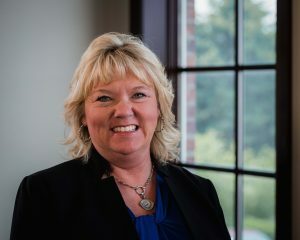 Baker joined the NNCCF board in October of 2018. Krukow has more than 10 years experience in sales and logistics, primarily in the electrical construction industry. He is now a commercial real estate agent specializing in the sales and leasing of industrial properties with Dickson Commercial Group. He graduated from the University of Nevada, Reno with a Bachelor’s degree in Journalism and a minor in Communications and was a catcher for the Wolf Pack baseball team from 2002-2007. He is married and has two kids and in his spare time loves to golf, play guitar, snowboard, cook, fly fish and spend time with his family. 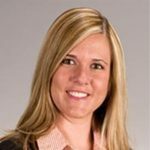 Kelly Kuszmaul joined the Board of Directors of the Northern Nevada Children’s Cancer Foundation in 2015. Kelly grew up in Montana and graduated from the University of Montana Tech where he was a four-year letterman in football. He was also elected Vice President of the student body and President of M-Club. 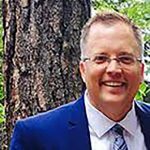 Kelly has worked for Granite Construction Company (Granite) for more than 15 years throughout the Northwest and California regions. 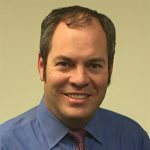 His current role at Granite is the Regional Controller for Nevada Operations where he oversees the administrative team, financial forecasts, and quarterly reporting. Kelly is also on Granite’s leadership team, executive team, and charity council in Northern and Southern Nevada. His expertise is in leadership, training, mentoring, budgeting and forecasting. Kelly’s passion is helping families with the understanding of cancer and providing guidance throughout the process. “With the loss of my father and taking care of him throughout the entire process, it has breathed a passion in my life to reach out to the community. What better way to help the generations that will lead our great country than to instill the importance of community and giving back to my children.” Kelly enjoys sports, playing cards, golfing, coaching (his boys) and spending time with his family and friends. He is married to Karin and has two boys Thaddeus and Kanaan. Lucy was born and raised in Winnemucca, Nevada and attended the University of Nevada, Reno. Ms. McGuire joined First Independent Bank in 2006 where she works in a new business development capacity, as well as underwriting, structuring and managing portfolios of commercial real estate loans, including acquisition and development, construction, and term and bridge financing for multi-family, retail, office and industrial real estate assets. She serves a wide variety of real estate investors throughout Northern Nevada. 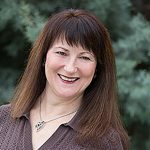 Beyond her 25+ years in the commercial real estate financing industry, Ms. McGuire is a 2015 Reno + Sparks Chamber of Commerce Leadership graduate and an active member of CREW Network of Northern Nevada and was also a past president and treasurer of Susan G. Komen Northern Nevada. In her spare time, Lucy loves to travel with her husband Roscoe and their grown son, Joshua, as well as enjoying all the local events northern Nevada has to offer. Ms. McIntosh focuses her practice on transactional and regulatory healthcare and business law matters. She advises clients on business formation matters related to joint ventures and mergers and acquisitions, including entity selection, organizational document preparation, and licensure. In her health law practice, Ms. McIntosh counsels physicians, hospitals, insurers, and other healthcare providers through administrative hearings, licensing, fraud and abuse investigations, credentialing, and medical staff issues. She also helps clients structure relationships between providers in compliance with state laws and regulations, including the Stark Law and Anti-Kickback Statute. Mc. McIntosh is Certified in Healthcare Compliance (CHC) through the Compliance Certification Board. Her compliance activities include assisting clients with matters related to HIPAA, HITECH, and other state laws and regulations. She also assists clients with compliance auditing activities and the development and implementation of corporate compliance plans. Doug is currently the partner for the states of Nevada and Arizona. As an equity partner, he is responsible for all aspects of development of office, industrial and retail projects as well as the supervision of staff personnel in two offices within the region. Doug brings over 24 years of knowledge and expertise to Panattoni Development Company. His expertise is in overseeing development managers, during preliminary and ongoing stages of the budget and throughout the construction process. Doug’s professional development does not stop at land. He is active in several key professional organizations in an ongoing effort to advance is skills and the industry as a whole. These include the National Association of Industrial and Office Properties (NAIOP), Society of Industrial and Office Realtors (SIOR), Nevada Development Authority (NDA), the Economic Development Authority of Western Nevada (EDAWN), Commercial Real Estate Women (CREW) and Certified Commercial Investment Member (CCIM). 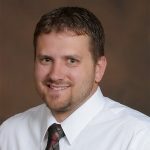 In addition to his professional affiliations, Mr. Roberts is a founding board member of the Keaton Raphael Memorial (now known as the Northern Nevada Children’s Cancer Foundation), an organization assisting families with children battling pediatric cancer and is a past President of Reno Central Rotary. Prior to starting her own company, Carol was the National Sales Manager for Old Republic Insured Automotive Services, Inc. for 10 years. She moved to Reno in 2012 along with her partner, Bob Phillips. Carol joined the board of directors for NNCCF December 2017. She brings a passion for fundraising for childhood cancer causes. Their grandson, Pierce Phillips, passed away at the age of 27 months after a 15 month long battle against stage four neuroblastoma. She has worked with her step son and daughter in law, Scott and Brandi, over the last 8 years raising money for the Pierce Phillips Charity, founded his his memory. She is also the proud mother of two daughters, Kaley and Sarah, and Nana to Pierce’s little brother, Hudson. When she isn’t working or fundraising she is active in the Montreux community. Pediatrician, The Medical profession, LLC. 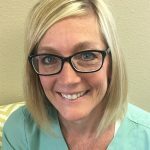 Dr. White was born and raised in Billings, Montana and graduated with a Bachelor of Arts in Psychology and a Bachelor of Science in Biology from Seattle Pacific University in Seattle, Washington. 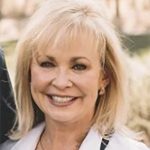 She is a graduate with the first four-year graduating class of the University of Nevada School of Medicine in 1980 and completed a straight Pediatric Residency at the University of Nevada School of Medicine Affiliated Residency Programs. Since then, she has been in private practice and would still choose to be a pediatrician if given the opportunity to begin a career again. Dr. White also serves as a board member for Northern Nevada Children’s Cancer Foundation, a local organization created to help the families of children with cancer. Her major interests in the field of Pediatrics are childhood development and infectious diseases, especially vaccine-preventable diseases. Leonard Wohletz joined the Board of the Northern Nevada Children’s Cancer Foundation in 2016. A Reno native, Leonard enjoys giving back to the community that has been so good to him. 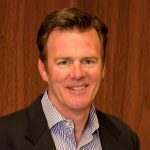 He has previously been President of the University of Nevada Young Alumni Association and Chairman of the Board of the Better Business Bureau of Northern Nevada. 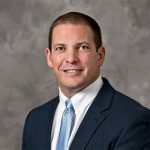 Leonard has been with Morgan Stanley Since 1998 when he graduated from the University of Nevada with a Bachelor’s of Science degree in Business, Majoring in Economics. At Morgan Stanley he works with individuals, non-profits, and corporations and has clients both in locally and across the country. Leonard lives in Reno with his wife and two daughters and enjoys playing basketball, skiing, hiking, and supporting the Wolf Pack in his spare time.